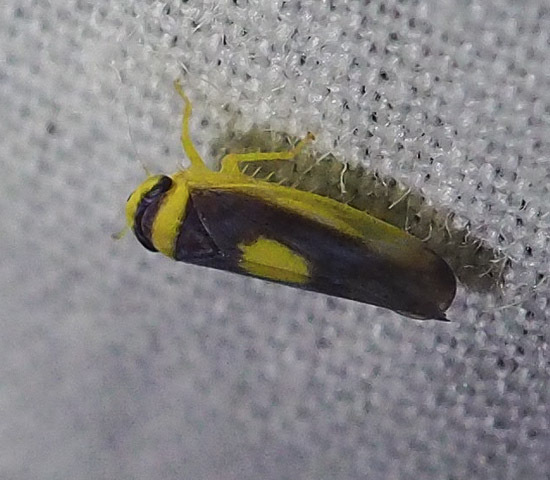 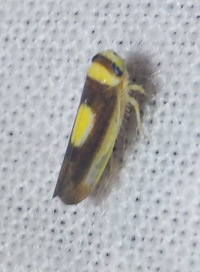 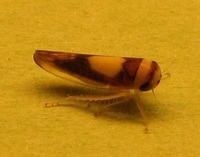 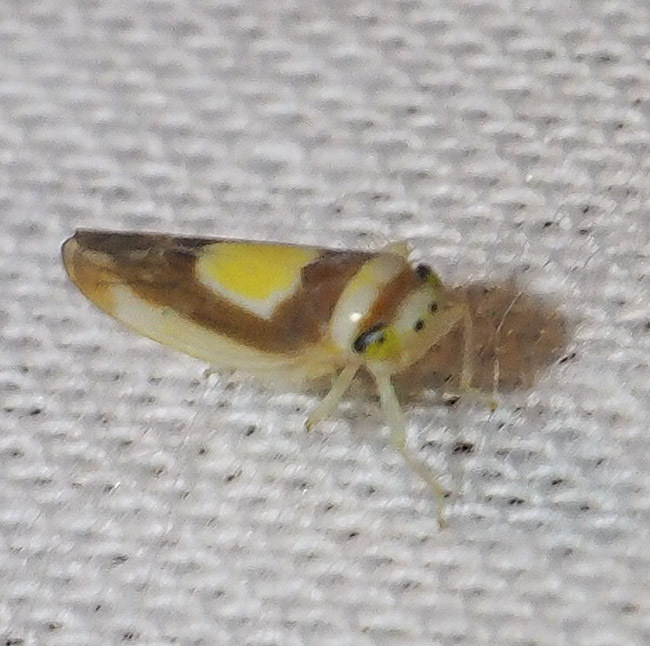 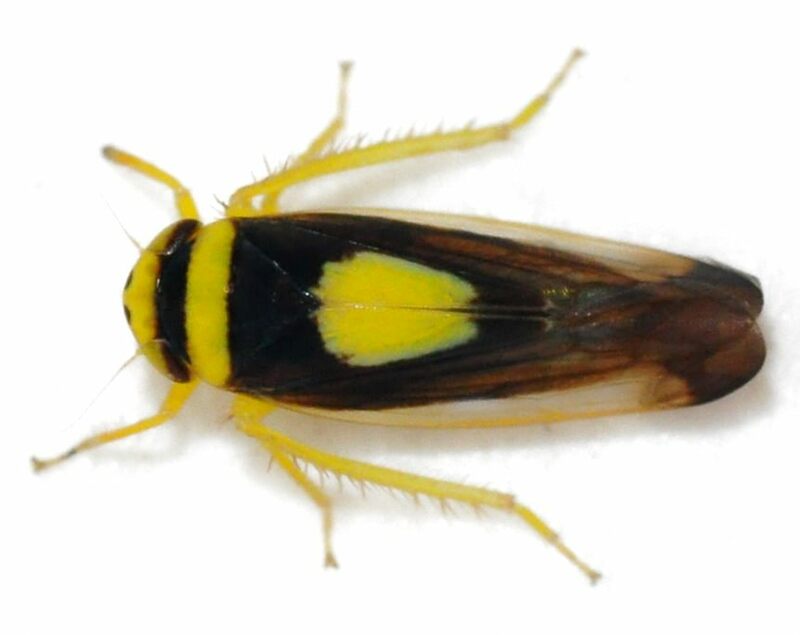 Description: A distinctive, boldly marked leafhopper. 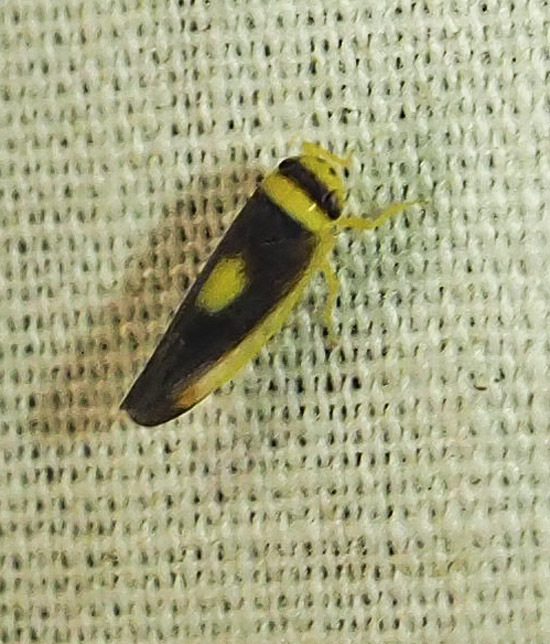 It has brown to black wings with a large yellow "saddle" on the middle of the back. 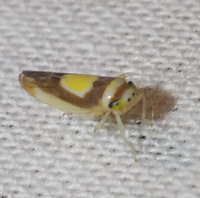 Some individuals are a bit paler, with the dark pattern lighter or reddish. 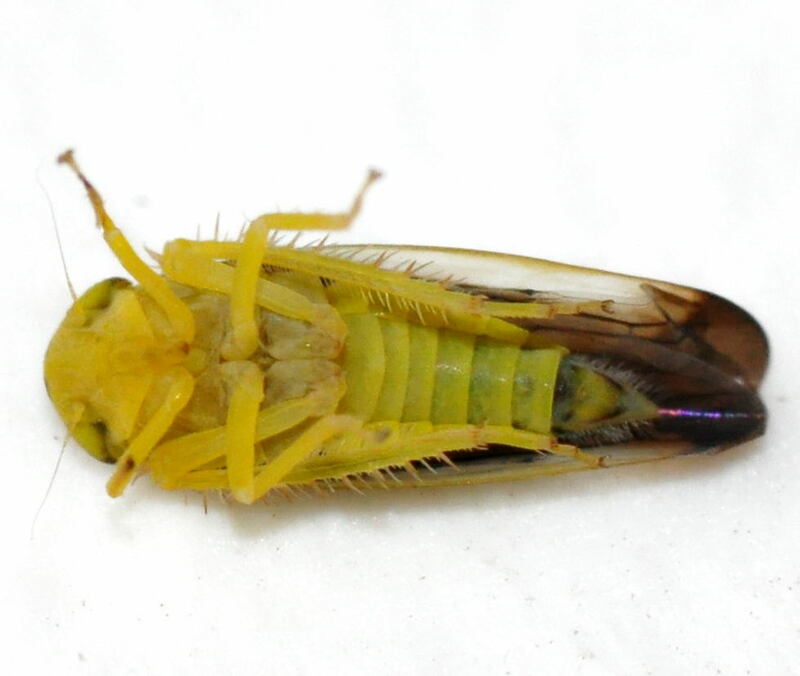 The scutellum is concolorous with the wings, and there is a broad yellow transverse band on the pronotum followed by a dark band on the base of the thorax and part of the head. 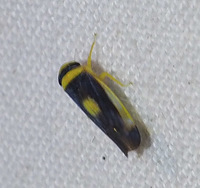 Two small black dots are located on the edge of the head. The underside of the abdomen and thorax are yellow. Adults are 5.0-6.0 mm long. 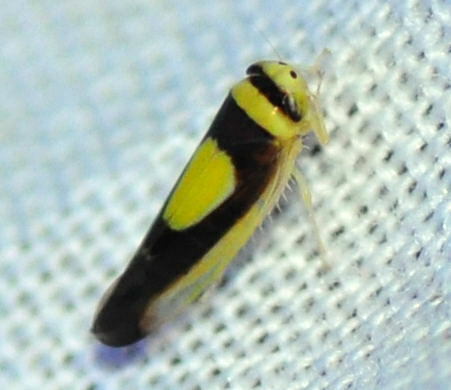 Abundance: Uncommon to locally common, scattered records across the state. 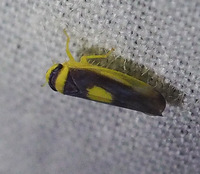 Plant Associates: Often feeds on willows, though will forage on many other plants as well, such as Gleditsia triacanthos (honey locust), Platanus sp., Triticum sp., Polygonum perfoliatum (mile a minute vine), and vitis sp. (DL). Comment: This species is a vector of eastern X-disease virus of peach (NMW). 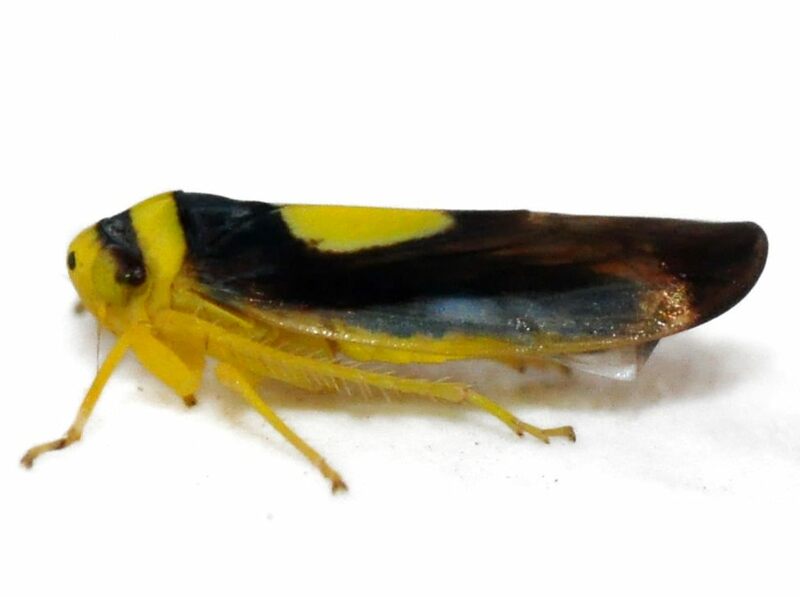 Comment: Attracted to black light.